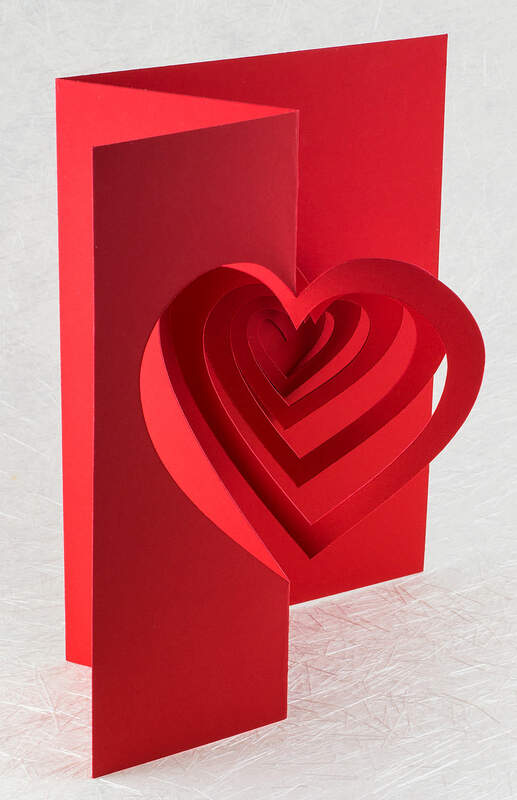 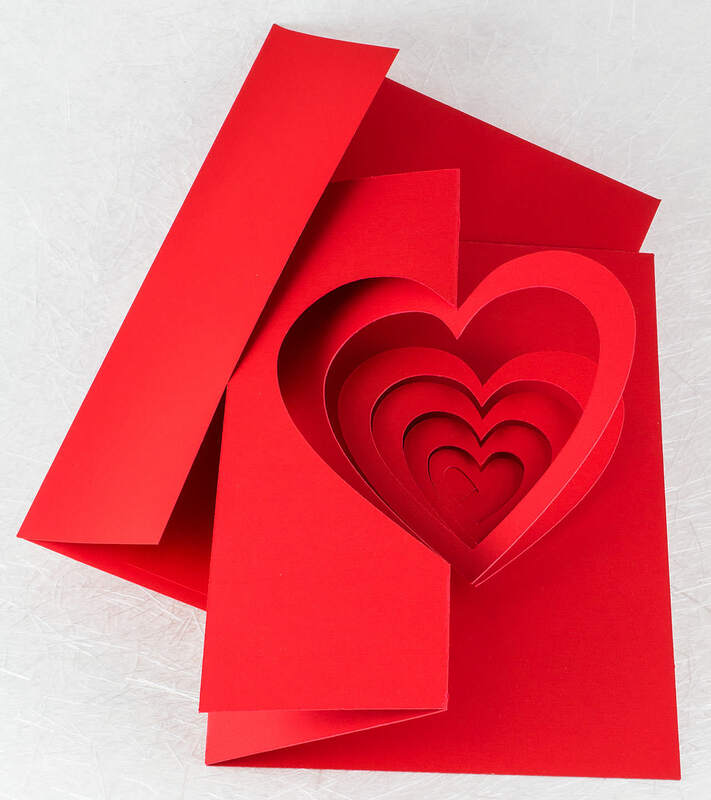 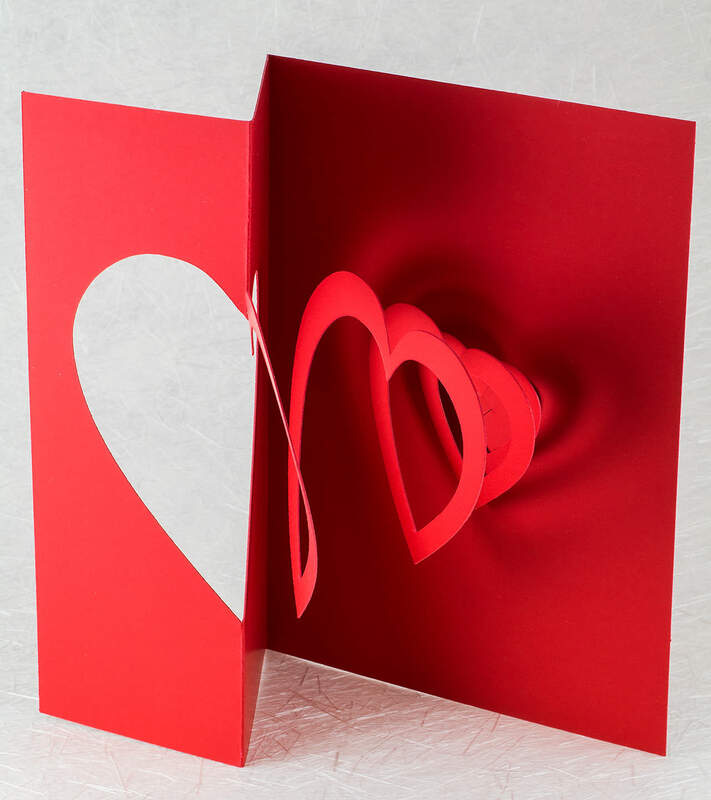 This deep red spiraling heart pop up card is the perfect, elegant Valentine’s Day card for your perfect, elegant valentine or, to express your love any time. 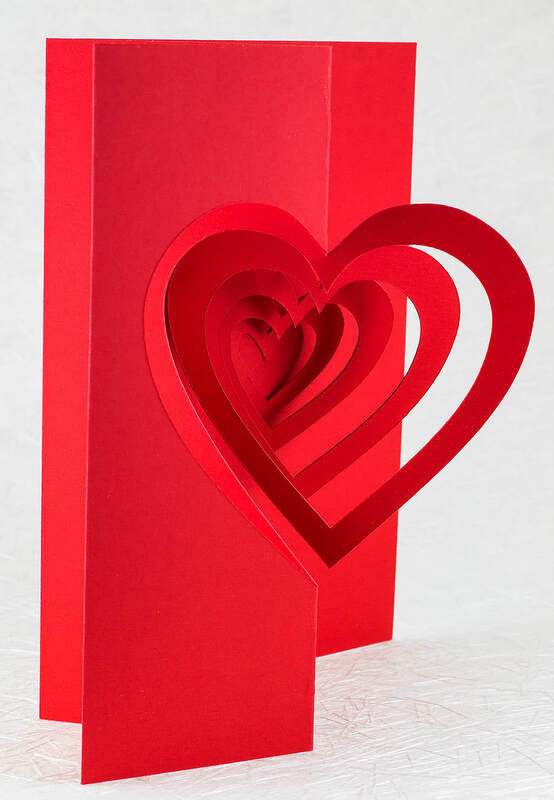 The heart ideograph, deeply entrenched world-wide emblem of love, combines with the spiral, fundamentally symbolic of the infinite, to make a thoughtful and meaningful expression of ardor. 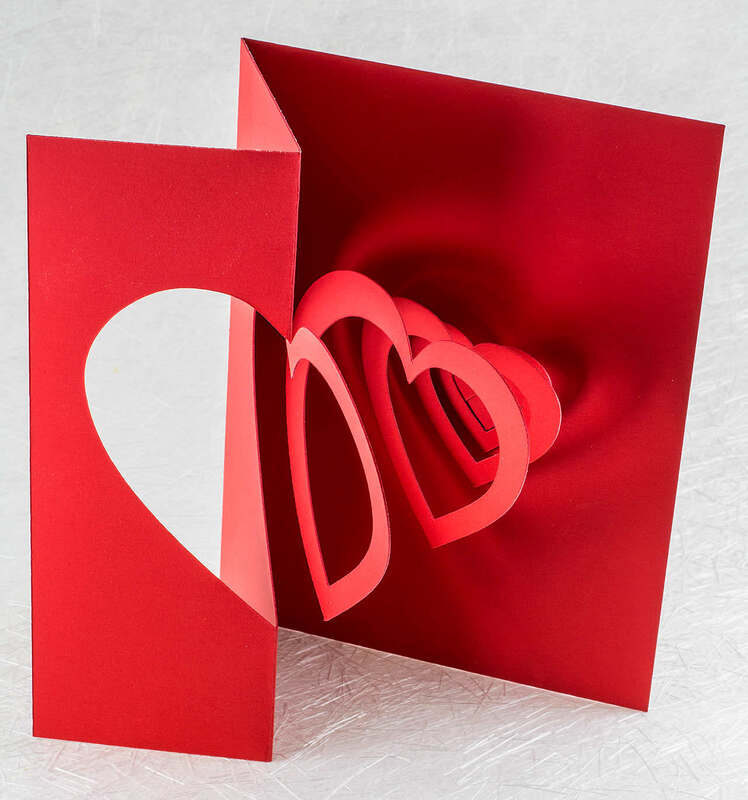 Cut and hand-folded from sumptuous heavyweight stock with an almost velvety feel, the card measures 18cm x 13cm (7 1/16″ x 5 1/8″).